Capricorn attracts you through their mystery. Money is also involved in this relationship, so you need to pay attention to the details. 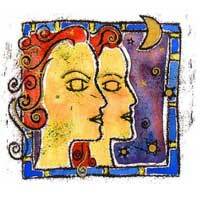 Capricorn will not understand Gemini's permanent restlessness and will always settle terms. Although you are capable of carrying out with those conditions you actually don't want to do it. You find it difficult to keep secrets from a Capricorn and the latter will make you get rid of your burdens in a positive way. Alongside this native you learn many things about yourself; you reveal mysteries and hidden sides of your personality. 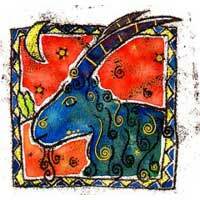 Capricorn encourages you to look for new opportunities to invest in yourself. Professionally speaking you will succeed. This relationship is ruled by aspects related to money, responsibility, hidden goals, and even if it's not one of the most romantic combinations, there is an attraction between you two. If Gemini needs equilibrium and welfare, then Capricorn is the one next to whom you'll find what you are looking for, teaching you not to be superficial. It's an interesting relationship until restrictions become stressful.